You're here » Home » Social Media Marketing » Child’s Play? For those of you who don’t have parents and grandparents on Facebook or Twitter (lucky you), you may not have heard the news: social media isn’t just for the kids anymore. And we’re not the only ones saying it. The Wall Street Journal reported this week that total social media usage among Americans was up to 65 percent. And what’s more, most of recent growth has been with the over-30 crowd. 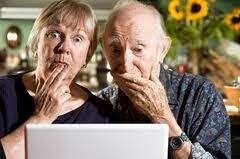 In fact, one in three senior citizens is now utilizing social-networking sites. So what’s that got to do with your business? Well, in case you thought your audience wasn’t using social media, think again; old or young, everyone is doing it. And if you are not, you (and your business) are missing some serious marketing opportunities. But really grandma, do we have to be friends everywhere?